I don't know about y'all, but this week flew by! Also, today is Justin's birthday so of course today is a great day! Since I am feeling so fancy, I thought I would share some amazing clothing and styles from Fancy Free! I am OBSESSED with this first top! I have been wearing it with a jean jacket at work. It is perfect for any season, and guess what! It's on SALE! Okay... How great is this shirt?! 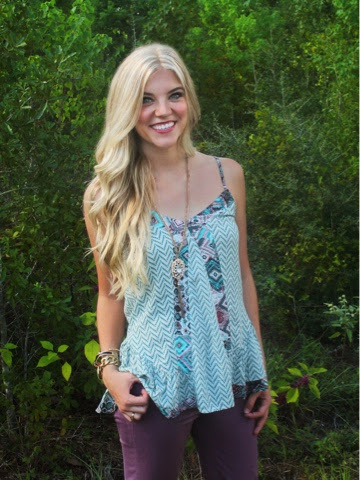 It can totally pass as maroon and is perfect for Aggie games, work, or play! Stop... this dress is SO precious. It is so cute with heels, or with some black leggings and riding boots! It is one of my faves from in closet. I hope you all have a fabulous weekend and be sure to check out all of the cute clothes Fancy Free has to offer!